Macbook Pro a1502 Trackpad Replacement With Ribbon Cable - ON SALE! MacBook Pro a1502 trackpad replacement that is a great replacement for your Apple MacBook Pro. 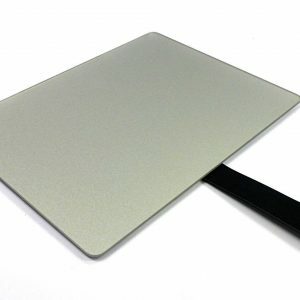 If your a1502 trackpad is not working you can replace it easily yourself. Take a look at the video below for help and instruction on replacing your a1502 trackpad. It is a fairly easy process. Purchased this and it came super fast and was able to replace it easily. Excellent, works just like brand new. Installing the trackpad was not too hard, took me about 1 hour and i’m a beginner.